Jeff Caldwell couldn't believe how dangerous the overseas trip had suddenly become. Why did the mysterious envelope found on the Manila dump make them a target of such wicked men? Who could they turn to in this faraway nation? Could God help them across this frightening tightrope of adventure? With a passion to help the poor at Smokey Mountain, Jeff and the "Reel Kids" hit major roadblocks at every turn. Will they overcome the deadly obstacles of threats, bribes and severe weather? Can they escape the grasp of angry pursuers to fulfill their international mission? There's never a dull moment when the Reel Kids media club takes on swollen rivers, dense jungles, and rugged mountains to film the fascinating faces and places that need the gospel. Jeff, Mindy, and K.J. experience the heart of cultures around the world as they meet intriguing new friends on their action-packed global adventures. Each well-researched, exciting story is set in a different country, so children (ages 9-14) not only experience a page-turning adventure but also learn about the people, culture, or history of the nation in which the story takes place. 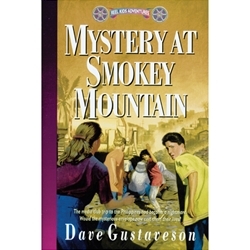 A meaningful series of missionary challenge for young readers who enjoy action!